Graduated with a degree in animal biology from the University of Florida…Passed entrance exam to enter medical school, but elected to pursue a career in baseball ... Wife's name is Elizabeth Prann and the couple has a daughter, Claire, and a son, Dane…Prann is a correspondent for FOX News…The couple regularly partner with the USO to provide support to military families ... Attended Bishop Kenny High School in Jacksonville, FL where he played baseball and ran cross country ... Attended the University of Florida, where he served as the closer for the school's 2005 College World Series team ... Was an Academic All-District III performer from 2004-06…Was originally cut from the Florida squad earlier in college, but began experimenting with a sidearm delivery which proved effective. Split the season between Baltimore and Atlanta, joining the Braves after a trade that sent the righty and RHP Kevin Gausman to the National League in exchange for minor leaguers INF Jean Carlos Encarnacíon, C Brett Cumberland, RHP Evan Phillips, LHP Bruce Zimmermann and international signing slots on 7/31 ... Did not pitch for the Braves after he suffered a season-ending left hamstring strain on 6/26 while with Baltimore…Went to the disabled list the next day and remained there through the end of the season…Also missed time from 5/6-6/9 with a right elbow strain ... Made his 10th consecutive Opening Day roster ... Struck out at least one in 17 of his 20 appearances…Finished with 27 strikeouts against four walks. Posted a 1.14 ERA (3 ER/23.2 IP) in 25 appearances from 8/1 through the end of the season...Marked the eighth-lowest ERA in the majors during that stretch...Recorded 76 strikeouts, which ranked second-most amongst Orioles relievers, and marked his second-most for a season in his career (career-high 82 in 2015)...Limited opponents to a .193 average (41-for-212), including a .183 average against by left-handed hitters (15-for-82)...Had two saves last season, and has recorded at least two saves in each of his six seasons with Baltimore...Seventh time appearing in 60-or-more games in his career... Placed on the 10-day DL (right shoulder strain) on 6/9...Reinstated from the DL on 6/23...Since joining the Orioles in 2012, ranks eighth among Major League relievers (seventh in AL) with a 2.34 ERA (92 ER/354.1 IP)....Recipient of the 2017 Bob Feller Act of Valor Award, which is given each year to a player who reflects integrity, honor and dedication to serving our country. On 8/13, was placed on the 15-day DL (retroactive to 8/12) with a right shoulder rotator cuff strain...Reinstated on 9/18... Placed on the 15-day DL (right hamstring strain) on 6/3...Reinstated from the DL on 7/24 ...Did not surrender a run over his first 10 games of the season (8.2 IP)...The Orioles went 10-0 over those 10 games...Retired 23 of 24 first batters faced and stranded nine of 10 inherited runners...Since 9/4/15 (48 games), has posted a 2.82 ERA (14 ER/44.2 IP) and the Orioles have gone 41-7 in those games... Since joining the Orioles in 2012, ranks sixth among Major League relievers (fourth in AL) with a 2.11 ERA (69 ER/294.0 IP)...Pitched in the 2016 AL Wild Card Game at TOR (1.2 IP, 1 K), stranding two inherited runners...His 21st career postseason game. Ranked seventh among AL relievers, posting a career-best 1.70 ERA in 68 appearances...Did not allow a run in 58 of his 68 outings...Set then-career-highs with four saves, 68.2 innings (tied for 19th), and 73 strikeouts (17th)...Held opposing hitters to a .174 average (.164 with a .497 OPS vs. RHH and .189 with a .633 OPS vs. LHH), the 10th-best mark among AL relievers...Pitched to a 0.61 ERA in 14 outings with no rest, a 1.96 ERA in 21 outings on one day of rest, and a 2.03 ERA in 33 outings on two or more days of rest...With RISP, held opponents to a .089/.232/.161 line in 69 plate appearances...Went 3-2 with four saves and a 1.82 ERA (6 ER/29.2 IP) in 32 games vs. the AL East...Went 9-2 with a 1.41 ERA (14 ER/89.1 IP) in 99 games vs. the division from 2012-14...Recorded his first save since 7/21/13 at TEX on 4/18 at BOS...Had 10.1 scoreless innings streak (10 games), 4/23-5/20...Had a 15.1 scoreless innings streak (19 K), 6/17-7/25 and a 13.2 scoreless innings streak (12 games), 7/29-8/30... Pitched to a 0.30 ERA (1 ER/30.0 IP) over 27 outings, 6/17-8/30...Allowed the first grand slam of his career (Bruce) on 9/2 vs. CIN...Made four postseason appearances, going 0-2 with a 13.50 ERA (4 ER/2.2 IP). Posted a 2.18 ERA (62.0IP, 15ER), 11th best among AL relievers, in 68 games in his 2nd season with the O's... Ranks 2nd among AL relievers with 12 wins since 2012 and 12th with a 2.23 ERA (129.0IP, 32ER) in 137 games... Did not allowed an ER in 56 of his 68 appearances... Posted a 0.66 ERA (13.2IP, ER) in 14 games in April... On May 5 @LAA, recorded 1st SV (1.1 scoreless IP) since September 8, 2009... Notched 2nd SV, July 21 @TEX... Posted a 1.17 ERA (15.1IP, 2ER) in his final 19 games, August 6-September 24... Held RHH to a line of .154/.219/.224 in 155 plate appearances while LHH hit .309/.367/.556 in 92 plate appearances... In 31 games vs. the AL East, pitched to a 1.33 ERA (27.0IP, 4ER) and held hitters to a .168/.233/.295 line in 104 plate appearances... Since 2012, he is 6-0 with a 1.21 ERA (59.2IP, 8ER) in 67 games in the division, holding hitters to a line of 150/.219/.282. Season included 85 days on the major league DL ... Went 0-1 with a 5.40 ERA (16.2IP, 10ER) in 16 appearances over 3 stints with Texas (Opening Day-July 13, Aug. 6-9, and Aug.24-end of season) ... 14 of his 16 appearances came in Arlington ... Beginning Sept. 3, 2010, has permitted 11 home runs in his last 26 games and 25.2 innings (3.86 HR/9 IP) ... Averaged 3.78 HR/9 in 2011 after entering year with career 0.55 figure ... Prior to his first DL stint, had a 2.45 ERA (7.1IP, 2ER) in 8 games ... Lone loss came April 12 @DET, loading the bases before allowing a Miguel Cabrera walk-off single in the 9th ... After his first DL stint, had a 7.71 ERA (9.1IP, 8ER) his final 8 games with 6 home runs allowed ... Was on the 60-day DL, April 27-July 1, for surgery to repair a partial tear of the labrum in his left hip, performed by Dr. Tom Byrdin Nashville, TN on April 28 ... Also on the 15-day DL, Aug. 25-Sept. 12, with right shoulder inflammation ... Combined to go 1-0 with one save and a 2.53 ERA (21.1IP, 6ER) in 18 games with Frisco (AA) and Round Rock (AAA), including6 appearances on injury rehab assignments ... Allowed 3 HR in the 18 games ... Had a 2.21 ERA (20.1IP, 5ER) in 17 games at Triple-A with 26 strikeouts against 4 walks. Continued to be one of the club's most reliable bullpenarms ... went 6-2 with a 2.03 ERA (14 ER/62.0 IP) in 72 appearancesfor the Rangers ... established career highs in wins, games,and innings ... his 2.03 ERA ranked 7th among A.L. relievers, whilehis 70 appearances were T7th in the league ... ranked among staffleaders in games (1st), games finished (3rd, 14), relief innings(2nd), and wins (T5th) ... his 0.887 WHIP was 8th-lowest in themajors (5th in A.L.) among pitchers with at least 50.0 innings ... was also the 3rd-lowest such figure in club history ... joined NeftaliFeliz and Darren Oliver as only members of bullpen on the activeroster for the entire season...did not pitch for 13 days from Sept.11-23 with lower back stiffness, but appeared in 5 of the club'sfinal 10 games. Acquired on a waiver claim from the New York Mets on April 22,O'Day went on to become one of the majors' most effective set-up relievers...was 2-1 with a 1.84 ERA (12 ER/58.2 IP) in 68 overall appearanceswith the Mets and Rangers...for the year, had a WHIP of 1.006...posted the7th-best earned run average among all major league relief pitchers with atleast 50.0 IP...with Texas, went 2-1, 1.94 (12 ER/55.2 IP) with 2 saves in64 games, the 5th-lowest ERA ever for a Rangers pitcher with at least 50.0innings...topped the Rangers in holds (20), was 2nd in appearances, andplaced 3rd among club relievers in game finished (14), innings (55.2), andstrikeouts (54)...had the 5th-lowest relief ERA in the A.L. (50.0 or more IP) and ranked T9th in holds. Made the Angels' Opening Day roster and went 0-1, 4.57 (22 ER/43.1 IP) over 3 stints with the Halos...Angels were 6-24 inhis 30 appearances...had 17 games finished...allowed just 2 home runs all year, one to Jacoby Ellsbury on April 22 at Boston andthe other by Grady Sizemore on July 23 vs. Cleveland...was his first season above the Double-A level...spent rest of season at Triple-A Salt Lake, going 2-2, 3.27 (12 ER/33.0 IP) in 21 appearances with 7 saves...was named to season-opening roster after winningFred Haney Award as Angels' top rookie in spring training...made ML debut on Opening Day, March 31 at Minnesota, tossing scoreless8th inning in Halos' 3-2 loss (1.0 IP, 2 H, 0 R, 1 BB-1 IBB, 1 SO)...had 6 straight scoreless appearances (10.1 IP) from June 14-July 21, opponents batting just .143 (5-35) with no walks and 6 K's in that span...recalled for a final time on Sept. 2...made 3 appearancesin September before he was diagnosed with a torn labrum in his shoulder...elected to rehab the injury, but was outrighted offthe Angels' 40-man roster on Oct. 20...selected by Mets in Rule 5 Draft on Dec. 11 in Las Vegas. Combined to go 7-4 with 21saves and a 2.53 ERA (15 ER/53.1 IP) over 53 relief appearances with Rancho Cucamonga (High-A) and Arkansas (AA)...was hisfirst action at either level...allowed just 4 total home runs all season...began the year with the Quakes...was perfect 11-for-11 in savechances, as opponents hit just .120 (10-83)...allowed earned runs in just one of 24 appearances, one of those earned runs comingon a solo homer by Bakersfield's Chris Davis on May 27...on DL April 22-May 4 with a strained left hamstring...named Cal LeaguePitcher of the Week for April 5-15...appeared in 2007 California/Carolina League All-Star Game on May 19 in Stockton...was promotedto Texas League on June 21...had 2.00 ERA (2 ER/9.0 IP) over first 9 appearances with Arkansas through July 15...was 10-for-13 in save chances in Texas League, as his 10 saves was tied with Jose Arredondo for Arkansas team lead. Combined to go3-2, 2.63 (11 ER/37.2 IP) with 8 saves in 31 relief appearances for Orem (Rookie) in Pioneer League and Cedar Rapids (A) in MidwestLeague...had 29 strikeouts and just 7 walks...signed on May 29 and made his pro debut with Orem on June 23 vs. Ogden, tossing1.0 scoreless inning...promoted to Cedar Rapids on July 22...had a 1.17 ERA (2 ER/15.1 IP) over final 12 outings with Kernels beginningAug. 5. 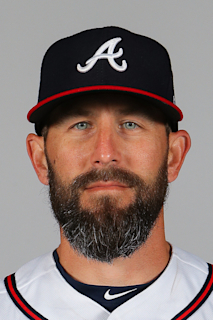 March 28, 2019 Atlanta Braves placed RHP Darren O'Day on the 10-day injured list retroactive to March 25, 2019. Right forearm strain. October 31, 2018 Atlanta Braves activated RHP Darren O'Day from the 60-day injured list. June 29, 2018 Baltimore Orioles transferred RHP Darren O'Day from the 10-day disabled list to the 60-day disabled list. Left hamstring strain. June 27, 2018 Baltimore Orioles placed RHP Darren O'Day on the 10-day disabled list. Left hamstring strain. June 9, 2018 Baltimore Orioles activated RHP Darren O'Day from the 10-day disabled list. June 5, 2018 Baltimore Orioles sent RHP Darren O'Day on a rehab assignment to Frederick Keys. May 9, 2018 Baltimore Orioles placed RHP Darren O'Day on the 10-day disabled list retroactive to May 6, 2018. Hyperextended right elbow. June 23, 2017 Baltimore Orioles activated RHP Darren O'Day from the 10-day disabled list. September 18, 2016 Baltimore Orioles activated RHP Darren O'Day from the 15-day disabled list. August 13, 2016 Baltimore Orioles placed RHP Darren O'Day on the 15-day disabled list retroactive to August 12, 2016. Right shoulder rotator cuff strain. July 24, 2016 Baltimore Orioles activated RHP Darren O'Day from the 15-day disabled list. July 22, 2016 Baltimore Orioles sent RHP Darren O'Day on a rehab assignment to Bowie Baysox. December 14, 2015 Baltimore Orioles signed free agent RHP Darren O'Day. November 2, 2015 RHP Darren O'Day elected free agency. November 2, 2011 Baltimore Orioles claimed RHP Darren O'Day off waivers from Texas Rangers. September 30, 2011 Darren O'Day roster status changed by Texas Rangers. September 13, 2011 Texas Rangers activated RHP Darren O'Day from the 15-day disabled list. August 24, 2011 Texas Rangers recalled RHP Darren O'Day from Round Rock Express. August 11, 2011 Texas Rangers optioned Darren O'Day to Round Rock Express. August 6, 2011 Texas Rangers recalled Darren O'Day from Round Rock Express. July 14, 2011 Texas Rangers optioned Darren O'Day to Round Rock Express. July 2, 2011 Darren O'Day roster status changed by Texas Rangers. June 22, 2011 Frisco RoughRiders sent RHP Darren O'Day on a rehab assignment to Round Rock Express. June 20, 2011 Darren O'Day assigned to Frisco RoughRiders. April 27, 2011 Texas Rangers placed RHP Darren O'Day on the 60-day disabled list. Surgery to repair a partial tear of the labrum in his left hip. April 22, 2009 Texas Rangers claimed RHP Darren O'Day off waivers from New York Mets. April 18, 2009 New York Mets designated RHP Darren O'Day for assignment.